We pledge to all of our customers that we will not remove a transmission from a vehicle in order to complete a repair unless absolutely necessary. Additionally we promise to diagnose transmission problems for all of our Minneapolis area customers in an honest and expert manner. We specialize in diagnosing difficult issues on European, Asian, Domestic, and CVT transmissions. Our shop strives to provide professional and courteous service to all who visit our automotive repair facility in the hope that you will come back to us for all of your automotive repair needs. We are a nationally recognized leader in modern vehicle power and transmission technologies. Whether it is a Toyota hybrid drive system, Ford Superduty TorqShift transmission, Nissan CVT or Audi Dual Clutch transmission we are well equipped to diagnose and repair the system. Kennedy Transmission invites you to take advantage of our easy 24/7 online scheduling! Simply complete and submit the appointment form to schedule your repair. Kennedy Transmission offers our customers in the Minneapolis area nationwide protection. Our warranties are among the best in the automotive repair industry. Kennedy Transmission understands how important it is to find a quality automotive repair shop in the Minneapolis area. This is why we value the associations we have with the reputable organizations listed below. These associations help our auto repair shop in Minneapolis to give you the confidence in knowing that your automotive repair and service needs will be met by our qualified automotive repair and service expert technicians. Kennedy Transmission is a member of AASP, the Alliance of Automotive Service Providers. As an automotive repair shop serving the greater Minneapolis area, we know that memberships in organizations like the AASP help us achieve our goal of offering only high quality auto repair services to our customers. The AASP is a national association that represents those in the automotive service industry like Kennedy Transmission. The AASP goal is to strengthen its regional and state Affiliates through the promotion of common business interests, avoiding strategic alliances, and monitoring federal regulations and legislation. Kennedy Transmission is an automotive repair facility providing the greater Minneapolis area with high quality auto repair services from a team of specialists, some of which are ASE Certified technicians. The team members on the Kennedy Transmission staff that are ASE Certified are part of one of the largest non-profit organizations in the world. Currently over 350,000 thousand fellow automotive repair professionals like those working at Kennedy Transmission are ASE Certified. Kennedy Transmission understands that for today's consumer, automotive repair is more complex than it has ever been. And as vehicles become increasingly more complicated, so too does the technology and diagnostic tools to repair them. This is why we are ASE Certified, because we know how important it is for people in and around the greater Minneapolis area to locate knowledgeable and competent automotive professionals. Kennedy Transmission has a great appreciation for our membership with ATSG, the Automatic Transmission Service Group. As a member of the ATSG, our customers in the greater Minneapolis area can rest assured that our automatic transmission repair shop is dedicated to providing nothing less than quality a complete range of repair services from a team of specialists that are connected to a nationwide network of resources about the repair and service of automatic transmissions. Each technician on our team has access to ATSG technical support resources, including the ATSG telephone hotline, technical bulletins, and seminars. ATSG seminars are another great benefit for Kennedy Transmission being an ATSG member. Every year ATSG develops new seminars that our staff attends to keep them up to date with the latest information in addition to current fixes on the most common of transmission repairs. Kennedy Transmission is a member of the iATN, or Automotive Technicians' Network. The iATN has been helping automotive repair specialists like those employed by Kennedy Transmission since 1995. To be a member of the iATN our business was required to have ASE Certification and at least four years of automotive repair experience. Our membership in the iATN includes a variety of resources, to include getting technical assistance when needed using the iATN TechHelp membership feature benefit. 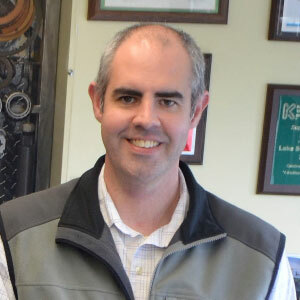 The TechHelp venue connects thousands of skilled automotive technicians from around the world for the purpose of keeping shops like Kennedy Transmission stay on top of the latest trends in automotive repair and service. As iATN members Kennedy Transmission also has access to the iATN Knowledge Base which provides real-world information from professionally trained technicians. As a NAPA AutoCare center serving the greater Minneapolis area, the team of automotive repair professionals at Kennedy Transmission know the key to keeping your car or truck running smoothly on the roads is regular maintenance. Our team also knows that people in our community should not be required to forgo trust and the peace of mind when locating a great and affordable automotive repair shop like here at Kennedy Transmission. Our decision to be a Napa AutoCare Center is built around our commitment to providing our customers service that is based on integrity, our qualifications, and our expertise when it comes to repairing cars and trucks, both foreign and domestic. It does not matter if you need routine maintenance or a major repair, each and every time you bring your vehicle to Kennedy Transmission for a repair or service we have you covered. Our team of ASE Certified technicians often use the best NAPA auto parts when providing an exceptional levels of service. This is how Kennedy Transmission ensures you get the most excpetional service each and every time. Our designation as an NAPA AutoCare Center also enables us to give our customers a 12 month, 12,000 mile Nationwide Peace of Mind Warranty. Kennedy Transmission relies on Sonnax to help us keep our customers' vehicles running smoothly in and around the greater Minneapolis area. Sonnax has a reputation of being a leader in the designing, manufacturing, and distribution of high-quality parts for the automotive aftermarket. Parts that are critical in helping Kennedy Transmission give our customers one quality repair after another. Sonnax provides our shop with innovative parts for transmission rebuilds that meet or exceed OE standards. They also give us access to a complete line of components for torque converters needed for both standard, high-performance, and heavy-duty applications.